This spring, the students and faculty of St. Andrew's-Sewanee School are undertaking a new creative endeavor. They are spending a month creating a series of graffiti-inspired murals across the walls, floor and ceiling of the SAS Gallery using only black electrical tape. Graffiti Gallery originated in a desire to host a project which can involve the entire community. 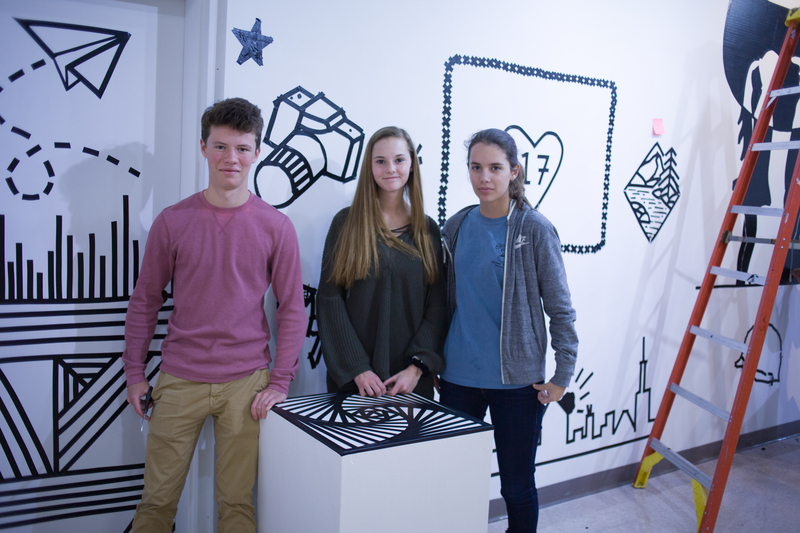 The SAS Art Department was inspired further by the vibrant culture springing up globally around tape art and murals through projects such as the city-wide Tape Over Berlin in Germany and the enormous tape mural on the exterior of The Brooks Museum in Memphis. They have chosen to use electrical tape exclusively at SAS as it is recyclable and easy to work with. The public is invited to come by and watch the work in progress. Artists will be working M-F between 8 a.m. and 3 p.m. through April 26. The 10:30 a.m. work periods are proving especially exciting. Additionally, there there will be hosting a public reception at 10:00 a.m. on Thursday April 19.